A National Early Care and Education Learning Collaborative (ECELC) trainer met Anita as she was actively recruiting for more children to enroll in her family child care program. Anita and the trainer shared stories of the breastfeeding mom and how she would like to make her program “breastfeeding friendly.” Anita wanted prospective families to visit her program and witness signs encouraging breastfeeding. Even with limited space, Anita has set up a spot designated for breastfeeding, complete with water and information to read on breastfeeding. She has also added posters to her bulletin board and plans to expand her parent handbook to include breastfeeding information. Anita currently encourages mothers to breastfeed their children while at her program. 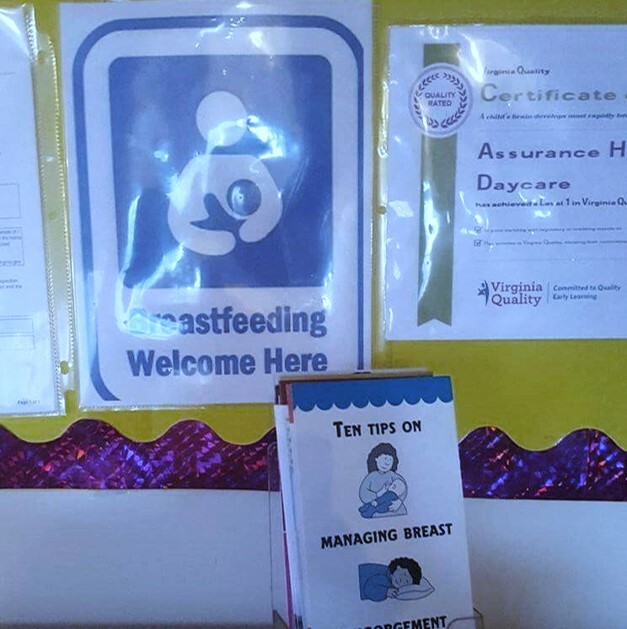 At the very first learning session of ECELC, the staff from The Learning Place in New Jersey found out how to provide optimal and appropriate accommodations for breastfeeding within their program.